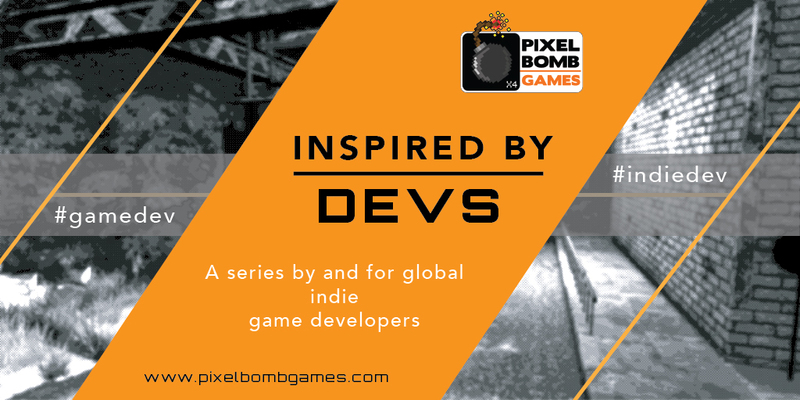 Post feature Report RSS	Pixelbomb Games are Inspired by YOU: Indie Game Devs. Here's Why. Here at Pixelbomb Games Limited we like to keep ourselves inspired and filled with all the good vibes you need for creativity. This is a great opportunity for member of the community, form Manchester and more pertinently from across the world, to be part of our essay series - we have some great interviews lined up, and we'll have more in the future. Message us here if you'd like to be a part of it! Staying inspired is important for game developers, as it is right across the creative industries. The Pixelbomb Games team are a dedicated lot, putting in the hours to ensure project completion. All the developers are working on one project with us - Beyond Flesh and Blood - and it often can begin to eat into their own time, online and through large events and games expos (at least, the ones that we can get to such as EGX, EGX Rezzed, PlayExpo, Insomnia and all the ones we can actually get to!). It's so easy to get caught up in one project, or one way of thinking, which is why the whole 'work smarter, not harder' phrase has some resonance for us. It's so important to give yourself the time you need as an artist to stay up and stay open to the art around you. If you have the freedom to be freelance, it'a a little easier to stay fluid - but even then. it's easy to stay stuck within the confined of client satisfaction and compromising between feedback and design. Here at Pixelbomb Games, we like to keep ourselves inspired and filled with all the good vibes you need for creativity. Part of this means finding developers form across the world as well as the ones who we are lucky enough to work with, and who inspire us from time to time. This is a great opportunity for member of the community to be part of an essay series - we have some great interviews lined up, and we'll have more in the future. Message us here if you'd like to be a part of it! We love the words on inspiration and creation by Johnny Marr - obviously he's talking about songwriting, but it's easily applied in spirit to #gamedev, plus, the guy's a Manchester legend. "I'm into experimentation, but that only feels good once you know you've got a really good song cooking. I don't believe in doodling around, waiting for inspiration to drop through the ceiling. If I'm not hearing anything, I'll go for a walk for 15 minutes. Actually, I come up with my best melodies away from the guitar, like when I'm in a taxi, or making tea in the studio, hearing the track from down the corridor. The ones I sing before I play them are always my favourites."